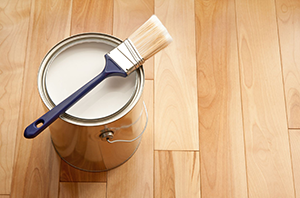 Today, there is a growing trend for painting hardwood floors. Unfortunately there is another trend that correlates with this rise. That second trend is a rise in meteoric mess-ups as DIY home improvers take on this task themselves. Fortunately for the amateur wise enough to do a search on the internet first, these are fairly easy mistakes to avoid. So without further ado, the number one failure people make when painting their hardwood floors? Use normal paint. Normal paint is not made to take the daily barrage of wear and tear under foot. Damp feet, grit, high heels, friction… Before long the paint is worn back to the wood and looking terrible. You need to use a “floor paint” that means something that forms a solid film on the surface much like a lacquer. In fact, that’s what it is, a pigmented lacquer. I can’t tell you how many times I have seen this mistake made, so it has to be said. Unfortunately, these floor paints can be rather expensive, as they have the normal polyurethane base for a hard finish, plus the pigment to give it the color. The great thing about painting hardwood floors is that an opaque finish can cover a myriad of problems. For example, the floor pictured left had a number of yellow stains and other imperfections. All were completely unnoticeable after painting the floor with floor paint. I was using the Farrow & Ball floor paint at the request of the client. I was concerned about the fact that it seemed to have all the same texter as emulsion wall paint. However, it was very easy to apply with quick drying times. 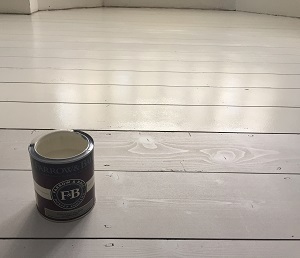 While there are other floor paint manufacturers, Farrow & Ball give you an abundant choice of beautiful colors, as they are very well known for. Of course, it will set you back a pretty penny. Luckily the process is largely the same as just a normal sanding and lacquering, but instead, you are using paint. Always be sure to check if your particular paint needs a primer, how many coats of solid paint it needs, how long the drying time is, whether or not to lightly sand between coats. Be sure to do things correctly. On the other hand, there is painting hardwood floors without sanding back the old finish and starting again. In this case, I doubt you will need a coat of primer, but you will need to key the old surface thoroughly with a 120 grit to get the new paint to adhere to the old finish. This can only really work on polyurethane finished floors, as the paint might not adhere to an oiled finish. For floors that have an oil or hardwax oil finish, you could try putting on a few coats of colored hardwax oil, but I haven’t tested or seen that, so it’s just a suggestion at this point. The other great part about painting hardwood floors is the fact that you can just recoat whenever you want and it is extremely forgiving. You can’t mess it up! One last thought to keep in mind, is that the paint gets into every little crack and crevis in the floor. If you do decide any time after painting the floor, that you want to restore the natural beauty of the wood, it may always be littered with dots and lines of paint. Personally, I think it’s a crime to paint any exotic wood or even hardwood for that matter. In fact, the only floor I think it’s ok to paint is pine floorboards. Well, that’s just my point of view anyway, the choice is yours!! What about painting maple engineered hardwood floors? 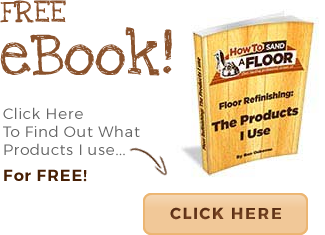 When you sand back your floor, it will be a lot lighter! If you used the lacquer we discussed on email, it will keep it that light. Colored lacquers can be a complete pain even for pro’s as I said. Staining floors lighter is even more of a pain. I’ve got heavily painted (dark grey) old Victorian floorboards that I want to strip and restore with a satin varnish. Is there such a thing as too much paint? I feel it will just get clogged up in the coarse grit and take far too many sheets to do the room (just under 8x3m). Is taking a floor sander to this still the best method? sometimes it sands off fine and sometimes it gunks up on the belts. Only 1 way to find out and thats to give it a go. Usually its fine, but even if its not, it just means the first sanding takes a little longer and maybe 1 or 2 more papers. I have a relatively thin (too scared to thoroughly sand) hardwood veneer that is “on its last legs” so to speak. I’d like to rough up the surface and paint it just to get me through to a time I can afford to replace with nice hardwood. That being said, I’ll probably be living with this for a few years. So, 1) can I do this on veneer? 2) is there a certain brand of paint you recommend (that I can obtain in the US)? 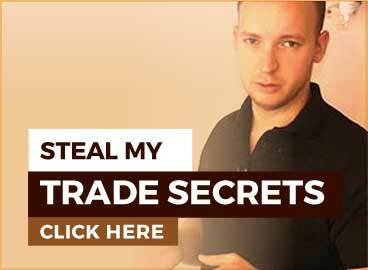 Can I sand a hardwood floor thats covered in paint? Is that the right way to get rid of the paint? I have wood floors that has carpeting put over it and when I pulled up the carpet the floors were painted. I think it’s wall paint because it scratches off. What would be the best way to get that type of paint off the floor’s? Also some of the wood boards that are against the wall are split due to the nails to keep the tack strip down. How would you fix those boards? Will sanding take out the little holes from the staples to keep the padding down? We’ve called some professionals and they wouldn’t even come for an estimate due to them being painted they said they don’t do work on painted floors. I would love to bring the floors back to life and I would like to know how you would tackle this project. Thank you for your time and advice. I have an engineered oak hardwood floor (stained Gunstock with a reddish tint). I would like to take to a lighter shade without red. Over the years it has developed a couple of small humps in board due to moisture, I believe. Would this take sanding or do they have to be replaced?